1: How do I get CPs? You can gain CPs by hunting monsters 2000-3200 per monsters, and it depends on the monster's level, Also farming bosses could makes you able to get at least a few souls to sell other than yours. Otherwise, You can have your account Idle in the twin city as a (safe-place) and you'll be receiving 1 OTP per minute, and a good amount of CPs around ~150k. 2: How do I get Dragon souls P6/P7? You can get them by defeating Bosses, There's a Boss on each city appears every 10 minutes, Follow the notification spot on your mini-map. Also there are Rare item find boosters, helps you to increase your chance getting high rated items. Bosses will be re-generated eventually after 10 minutes from being killed in every city depends on when the last boss was killed. Otherwise, You can buy them from people in Market. 3: How can I change my gender in-game? You can change your gender in-game, Go to the Market, and talk to EmceeXian at (197, 190). 4: How do I get Study Points? - Spawning & killing the Terato dragon in Twin city for 100 Study points. - Finding & killing the Lava beasts in F6 to gain 20 Study points for your whole teammates. - Buying Modesty books from Subclass Manager in Job center. - Getting Modesty books by wining some events Such as Iron man, Treasure's land. - Killing monsters in F6, to gain 3-5 Study points per-monster. 5: How do I get refineries such as Critical/Intensification/Immunity..etc? Some refineries are available in the Arena store and some of them are coming by killing Lava beasts. 6: Do I have commands in-game as a player? - @vend: Usable to start a booth/shop in twin city. - @str: Usable to put attributes on your Strength [Example: @str 100]. - @agi: Usable to put attributes on your Agility [Example: @agi 100]. - @vit: Usable to put attributes on your Vitality [Example: @vit 100]. - @spi: Usable to put attributes on your Spirit [Example: @spi 100]. 7: How do I get VIP? You can bind VIP levels on your character if you are purchasing click here to check. also you can get VIP levels by staying online and obtaining Online Training Points (OTPs). 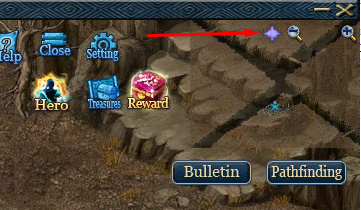 8: How do I get attribute points in-game? You will be receiving 1 Attribute point after every completed EXP Bar, as you notice your character is still gaining EXP after reaching the max level 140. Or you can purchase them from PrizeOfficerNPC after adding funds on your account. Online Training Point, as long as you are online you will be receiving 1 OTP for every minute you are staying online. They can be swapped by various prizes from ExchangeOfficer in TwinCity beside the ClanManager. 10: How to get TempestWings? You can get them through the Champion Points shop in TwinCity, Talk to ChampionLingWan, You can buy a pair of tempest wings by 100 ChampionPoints. Check the next Question to know how to gain ChampionPoints. 11: How to get ChampionPoints? You can either gain ChampionPoints by defeating Bosses at any City, or Winning Arena qualifier matches continuously, More ways to be released soon. 12: What's the perfection system? It's a new system to make your items perfect, For more information check the following link: Perfection System. 13: How do I get Subclass's required items? You can get them from their specified NPC's, Go to the Job center (Where you get promote), and Join the Sub-class Hall to find them. 14: What are the benifits for being VIP? You can find out that through the following link (Requires Login) https://www.immortals-co.com/index.php?page=vip.